My Hair Raising Last Night Out in London! Ok, so it wasn't very hair raising at all, but I wanted to put up a post about my last night out in London. 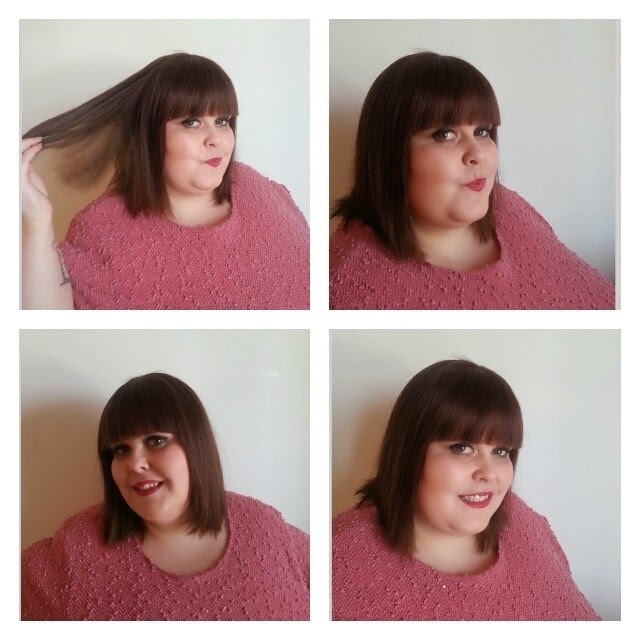 As this includes a review of my fabulous new hair piece by Campbell Wigs I decided to incorporate it into Hannah's Charity Blog Challenge, which you can read more about at the end. 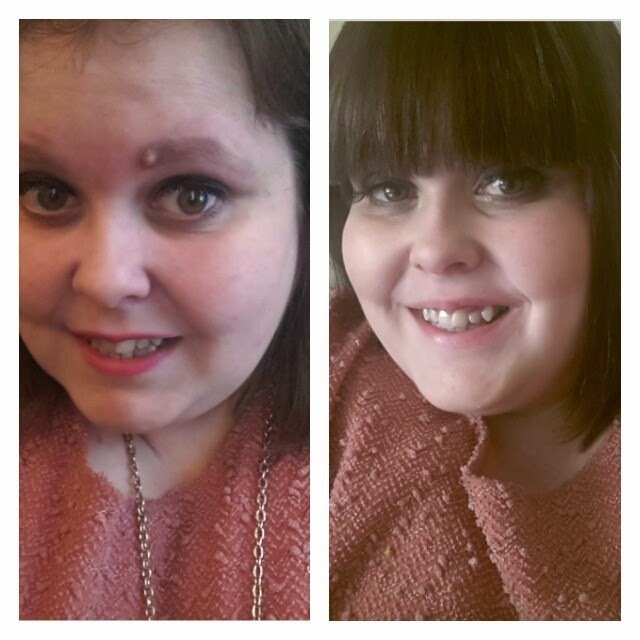 Please be sure to check out Hannah's page and of course the blog posts by the other lovely ladies taking part. So anyway - onto the hair! A few weeks ago I was approached by the lovely Lorna about making a hair piece for me. Now, people who know me will tell you I hate being fussy with my hair. If my fringe is too long I cut it off, I can't stand it being tied back.... So, although I was excited about a new challenge I was a little dubious as to how it would turn out. She came to my flat in London to measure my head and get all the things she needed to make me a hair piece, as well as have a bit of a catch up and a gossip! 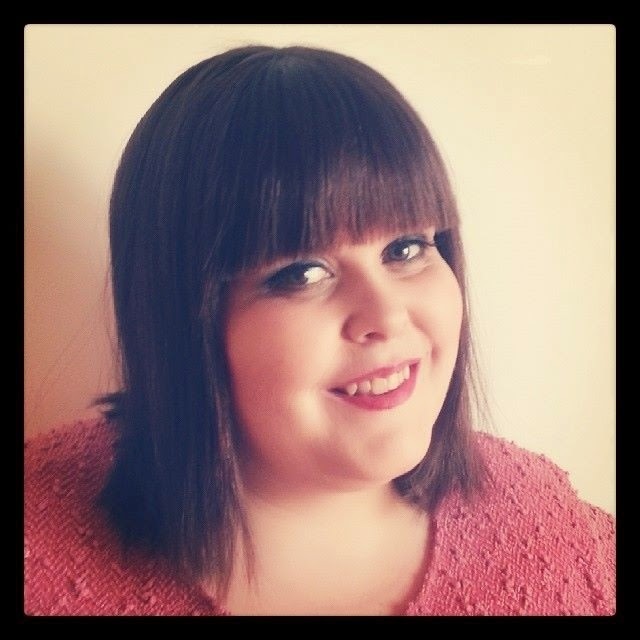 I didn't know much about Lorna's business side, we usually meet up on a night out over a glass or two of fizz, but I was interested to learn that she has been working in the wig making industry for over 7 years and that she has worked on film, TV and theatre. She makes wigs for all sorts of people, all hair types and has many solutions for hair loss - amazing! You can read more about all of that here! And then, two weeks later I get a text to say my new hair piece is ready and would I like to go along and have some photos taken wearing it... Now, as you might know I am quite shy (ha!) and so I jumped at the chance. I managed to get it arranged for a Saturday morning so that I could be cheeky and have amazing hair and make up for my leaving do on the Saturday night and what a good plan that turned out to be! I turned up at Lorna's studio and she immediately set to work with her magic make up brushes... to say I was happy with the make up she did is an understatement I loved it! Then she fitted the hair piece, the bit I was most nervous about. As some one who hates having even a hair clip in my hair I didn't know how much I would like it. In the end I didn't even really realise it was fitted because you just don't feel it at all. It has 4 small clips which clip into my hair but that's it. I don't know the technicalities of the wig making (ask Lorna, she's a pro) but I do know that it is a real human hair top piece and it gave me hair that I could only have dreamt about before! I really can't put into words how much I like it!! 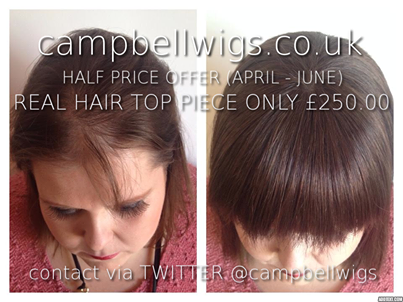 Campbell Wigs are actually offering half price top pieces right through until June so if you want to get on it - now is the time! Just tweet them to set the ball rolling and they'll get back to you. I have to say the whole experience was SO exciting for me and I am so glad that I went along with it! 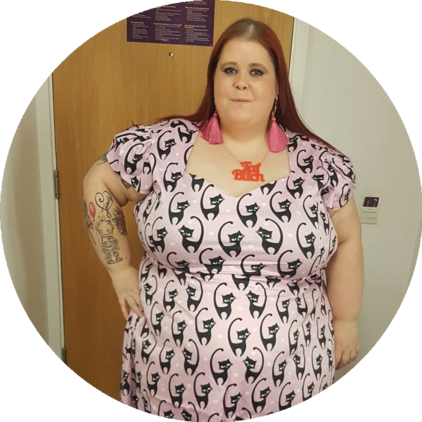 "I have decided that I want to shave my hair off for charity because honestly, I'm not fit enough to run a marathon, I'm too chicken to do a boxing day dip and I'm too lazy to do a sponsored clean! I currently work for Cleveland College Of Art & Design as Students' Union President and we have been working with the lovely people over at Hartlepool Families First since September on bits and pieces, but now I want to do something really big and really help an amazing charity out who do so much for the local community. I wish I could explain to you all the amazing work that HFF do, but honestly they do so much I'd be writing forever! However here are a few of the amazing things they do. They empower the deaf community by putting on health related and social activities. They offer a health bus service to monitor peoples lives and help them to not develop long term conditions. They have a special needs home support scheme to support parents/carers and even offer specialist and stimulating toys and play equipment. 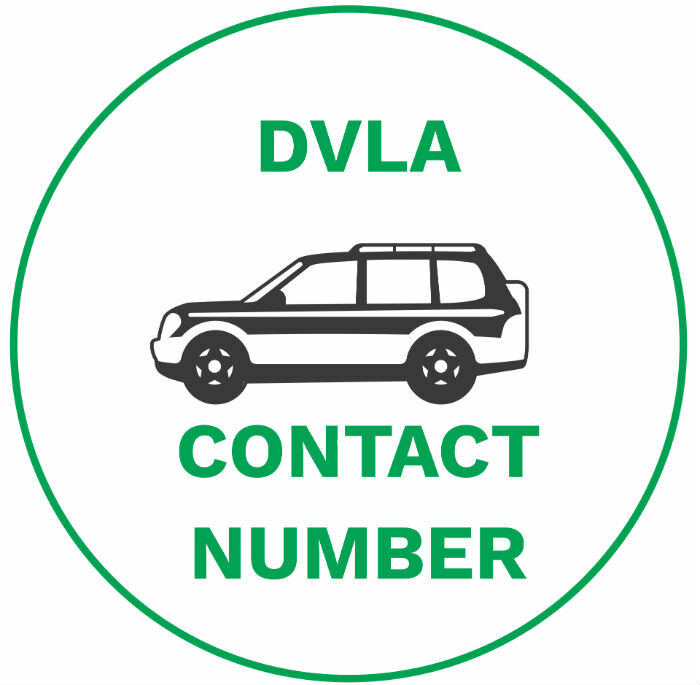 They offer one to one support for young adults and children with behavioural issues and additional needs such as autism. There are so many other amazing things that they do, but I would be listing them all day! So with that in mind, I'm going to cut off my precious hair! Those who know me know how vain I am (not a day goes by without a selfie) and so this is going to be a huge step for me, which is why I'm asking for your support to raise as much money as I possibly can for such a brilliant charity! 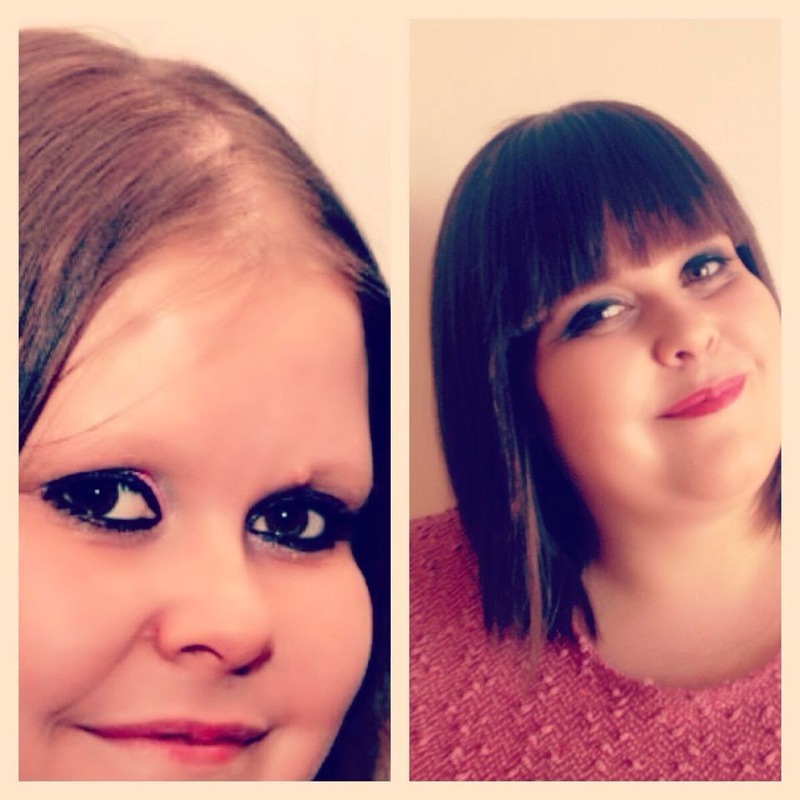 To donate, visit http://www.justgiving.com/hannahboal or text HCUT88 £ (then any amount from 1-10) to 70070! Thank you,"